Chelsea close to signing a striker as striker’s agent arrives in London! The Blues were desperate to land a striker in January. It’s an open secret that Chelsea are lacking in attacking third. Chelsea have scored the least number of goals in top 5. Sarri wants to bring a goal scoring striker. After the stalemate draw against Southampton, it seems Sarri desperately want a striker in the January transfer window. It seems Chelsea are close to signing a striker as striker’s agent arrives in London. Chelsea are closing in on a deal for AC Milan striker Gonzalo Higuain. The forward’s agent is in London to finalize a move. The Argentine is unhappy at the San Siro and wants to cut short his loan spell in Milan to join Maurizio Sarri, who managed him at Napoli. Sarri asked his Chelsea board to sign Higuain last summer but they were concerned by Juventus’ £32million valuation of the 31-year-old. However, Sarri has made clear that he’s unhappy with Alvaro Morata as his first choice. He has also underlined his unhappiness by playing Eden Hazard through the middle. 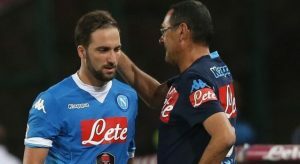 That’s forced Chelsea into re-thinking their strategy and according to a report, Higuain’s brother and agent, Nicolas, is in London today to potentially thrash out a deal. 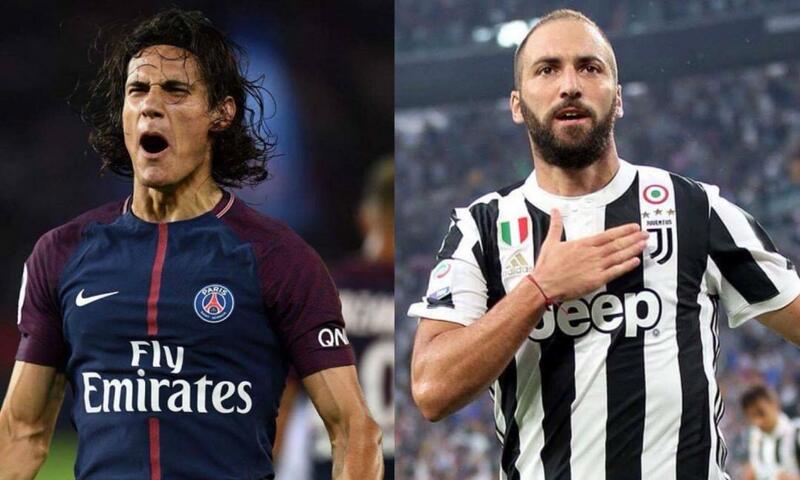 One stumbling block is that Milan wants a replacement for Higuain before allowing the Argentine to leave. But Chelsea are believed to be willing to offer Morata as a makeweight in the deal. Juventus & AC Milan would have to agree on the deal before Higuain can get his wish of moving to Stamford Bridge but the transfer would be a significant coup for the Blues, who have lacked a ruthless streak in recent weeks. Higuain’s stunning form at Napoli under Sarri earned him a £75m move to Juventus in 2016. The 31-year-old scored 55 times in 105 games for the Old Lady but he was a victim of the club’s desire to sign Cristiano Ronaldo. He was sent to Milan to free up space on the wage bill. Given Chelsea’s policy for above 30-year-old players, it’s strange that they want to sign Higuain. Higuain is 32 and Chelsea don’t offer a hefty wage for 30 plus players. Their policy is the sole reason the likes of Lampard, Terry and Fabregas opted to leave Stamford Bridge.